This year alone, I have had 2 free international flights, multiple free hotel stays, a discounted rate at a luxury resort as well as a discounted travel package from a travel agency. 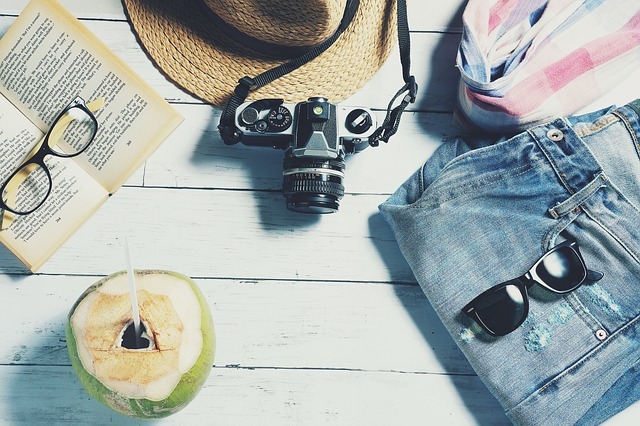 I did all of these and more using a combination of common and uncommon travel hacks. Add-on bonus: A blogger hack. Free stock photos from Pixabay. 1. Chase Sapphire Reserve - After the successful launch of the Sapphire Preferred card, here comes the most talked about card of the year. 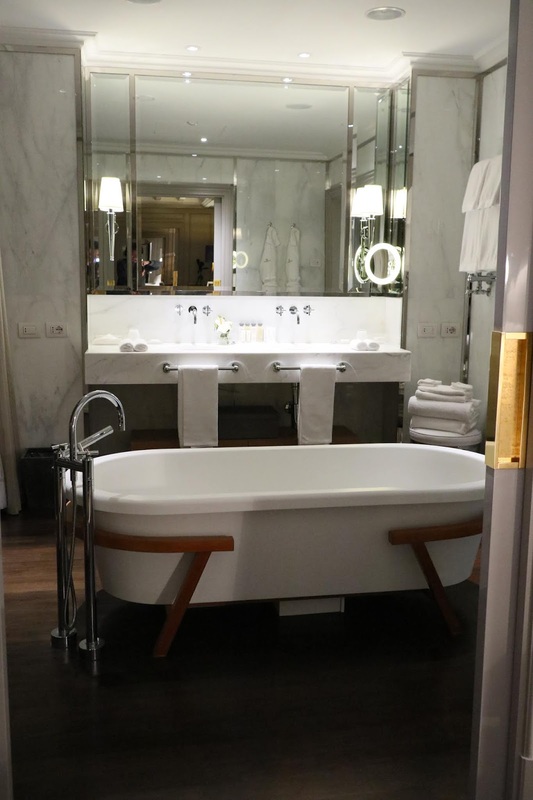 Reserve is the most powerful of the lot in travel amongst the Chase credit cards. They have lowered their bonus points to 50k currently, but with 3x points in travel, which btw includes your Uber/Lyft ride, 1.5x travel redemption, Global Entry/TSA Pre-check fee credit, no-annual fee on your first year and an excellent customer support service that goes above and beyond to solve my concerns, what's not to love? The only downside to Reserve that I would have expected that they work on, is that many low-cost, budget airlines are nowhere to be found on their travel redemption, especially those from Europe and Asia. I'm a big fan of Easyjet and Air Asia, respectively. Hint: If you're looking for a Norwegian Airline flight miles redemption and don't see it on their travel website, call customer support and they can get it for you. 2. Skyscanner - This is my preferred travel comparison site because it sources from even the most unknown websites, which I've eventually bought from. Compared to Momondo or Google Trips, Skyscanner wins because it usually has the cheapest rate of them all. 3. Ebates - If your primary method of booking travel is online, then you must have Ebates. 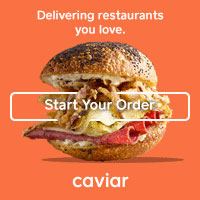 It offers cashback on the most popular sites, such as Expedia, Orbitz, etc. 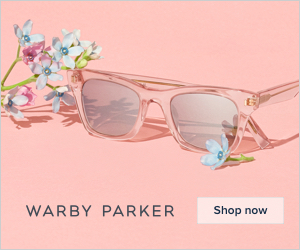 I use their Chrome extension so it is easier for me to detect whether the website I'm on is part of the Ebates program. Recently, I received a $5 cashback from my booking on Vayama for a Thai budget airline because I could not redeem it on Chase. It works on numerous shopping sites as well for non-travel related items. 4. Airbnb - If you haven't booked an Airbnb yet, you are missing a lot. Here's $40 that you can use for your first Airbnb booking. 5. Be nice - Here is the most uncommon travel hack of all time. 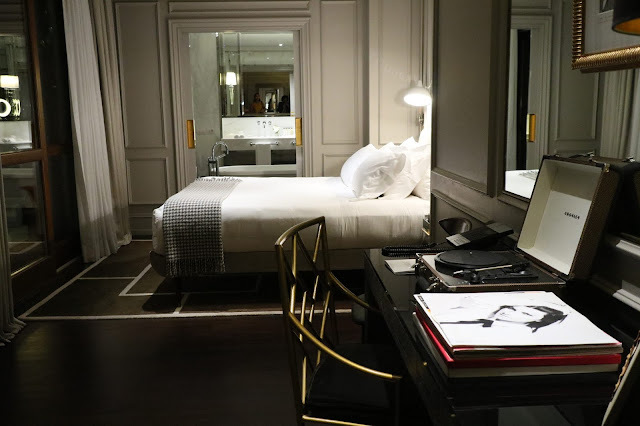 If you run a travel blog or have significant followers on any social media platform with a media kit, be nice to boutique hotels or even travel agencies. For my next misadventure in Bhutan, a country that requires a travel agency to obtain a visa and a well-planned out itinerary, I requested via email a media rate from more than a dozen agencies and received a positive response from two companies, ranging from 20% to 50% discount on my 5-day travel package to the happiest place on Earth. 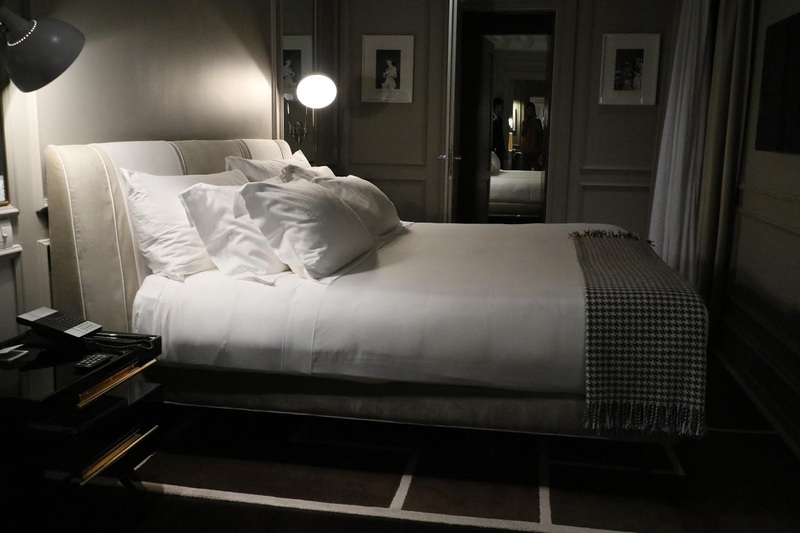 I got a similar result from my inquiry at a luxury hotel in the Philippines. Hint: The average media rate discount is around 20%. All it takes is your time to send email inquiries and use a tried and tested email template, such as the one I've used below. To get the email template that gave me positive results for asking nicely, simply follow the steps below. All I ask is for a nominal $5 fee since I've tweaked it many, many times before achieving the results I wanted. Disclaimer: Affiliates links on this post. 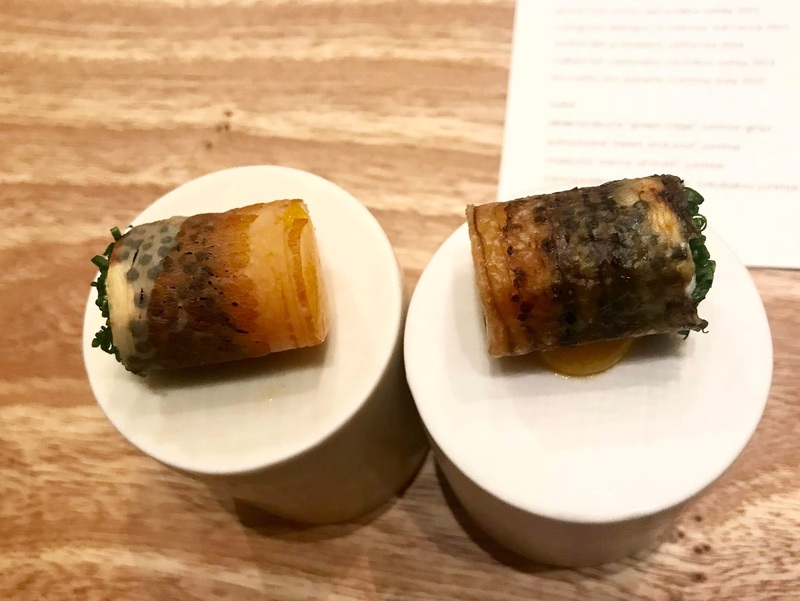 What started off as a high potential dining experience at Birdsong was quickly ruined when the waitstaff did a major error by serving yours truly a bacon dish instead of eggplant. As most of you know, I am a strict non-red meat eater, meaning I don't eat anything that has touched red meat since I was 14 years young. 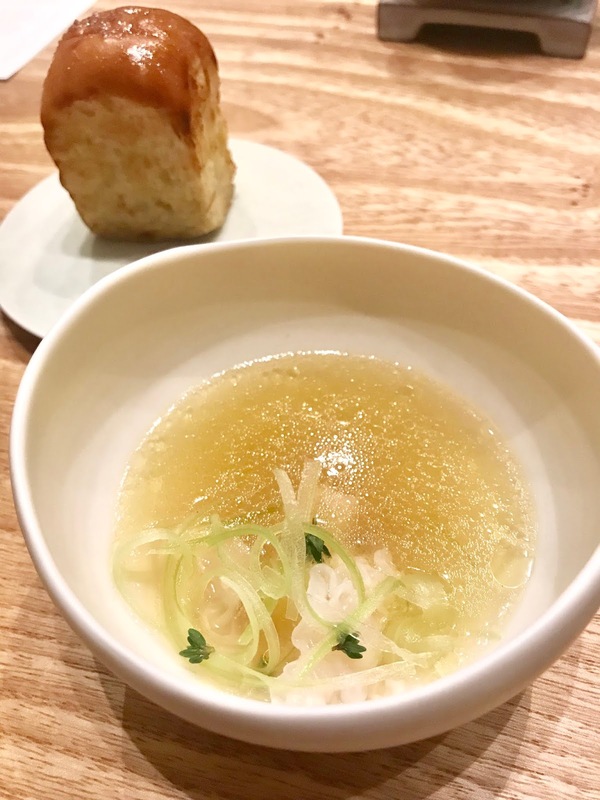 No pork broth. No picking out bacon. Nothing of that sort. Especially in a newly minted Michelin restaurant, you know that it would be hard to climb out of this hole with a service error this big even when my food preference was communicated in advanced and we corrected the waitstaff on who gets the meat menu before the food came. The devil is all in the details, after all. The culprit: spot the bacon vs. eggplant. Hints of being detail oriented at Birdsong are evident when the first question that was asked is whether I'm left or right-handed. Staying true to their earthy cooking traditions, a smokey smell permeates in the restaurant where my dining party was seated, in front of the chef's prep table. I also took note of the artfully decorated establishment, which I learned was designed by the owners, and the customized cutlery and serving dishes from different parts of the world. 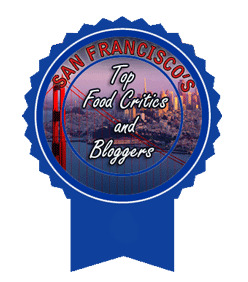 Like many San Franciscan restaurants, dishes are concocted with seasonal, local ingredients. Below is the creek raised Northern Californian, cured trout eclosed in warmed cedar on a bed of pine. One of the chefs noted that they picked up the pine during a drive in Big Sur - I don't know if that was meant to be a joke! My favorite from the loot is the simple but tasty bbq carrots with elderberries. The wow factor in presentation came in the most unexpected way. 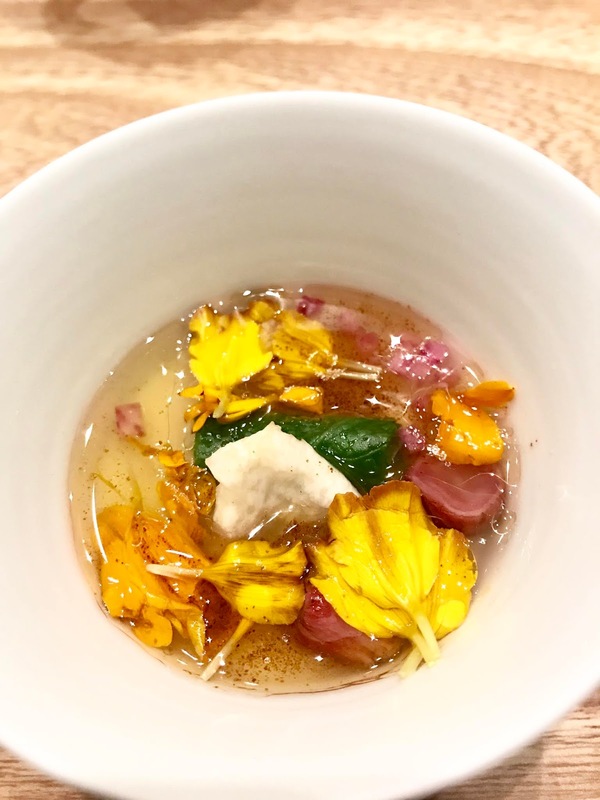 It was stated as 'broth of toasted bones', which sounded as the simplest item on the menu, but came in full colorful glory with aged radish and edible flowers. 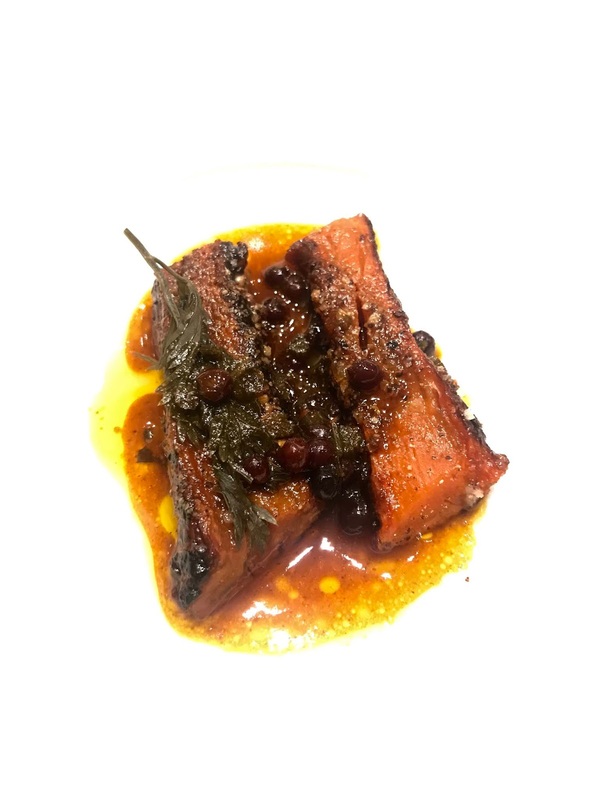 The well-seasoned black cod also had an intriguing presentation, first covered in malabar spinach that looked semi-glossed than the normal. So pretty to eat this broth of toasted bones. End result of the black cod. How do you make the spinach look like this glossy but not wilted? In this duck sequence, the sprouted buckwheat tartlette with liver leg ham (middle) won me over by a mile, while I really wanted to not finish the innards (bottom), which left an unwanted after taste. Because this meal was part of my friend's birthday celebration, I really wanted to keep an upbeat attitude so as not to ruin the entire experience. When they first made a boo-boo giving me the customized menu with red meat, as minor as it seems, was indicative that somehow communication broke down from email to the kitchen to the server who presented the menu to our group. This reminds me of another dining moment in a Bib Gourmand establishment in Florence when a neighboring patron started sobbing because she ate meat, which was not written on the menu, in her dish. She later mentioned that she was on her no-meat diet for the past 3 months only! Anyhow, she became so anxious, started to sob heavily and dramatically left the restaurant without paying together with her dining buddy. True story. I, on the other hand, sat through the entire meal with grace and a smile on my face. Is that bacon or eggplant (bottom right)? 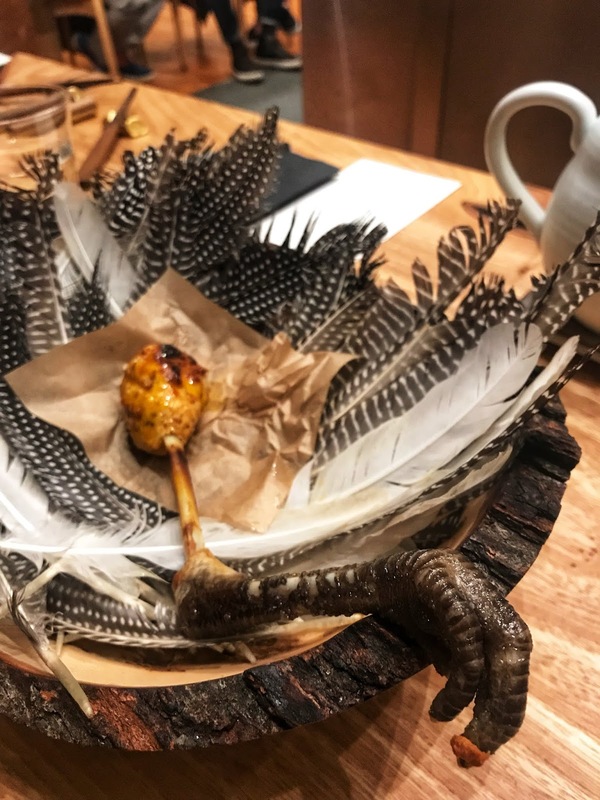 Then the guinea hen yakitori came on a bed of feathers. This is a very risky move that would sway you one way or the other. Despite a creative and photographic take on this dish, which I thought could add brownie, Instagram points on its earthy ensemble, my dining buddies thought the opposite. They deemed it to be inappropriate and questioned the cleanliness and whether the feathers would cause an allergic reaction to those who are highly sensitive. The yakitori fell on the feathers while I was taking one-handed pics. Case in point, I did see a small feather-like item that came with the giant clam bowl. It was later dismissed by the server as a line that was part of the bowl, even though I was able to touch and move it around. The bowl in question came with clams only then later poured with buttermilk whey. If you are not a fan of Mrs. Meyers (think notes of pine and basil), then you probably will not be enthused on desserts from Birdsong. 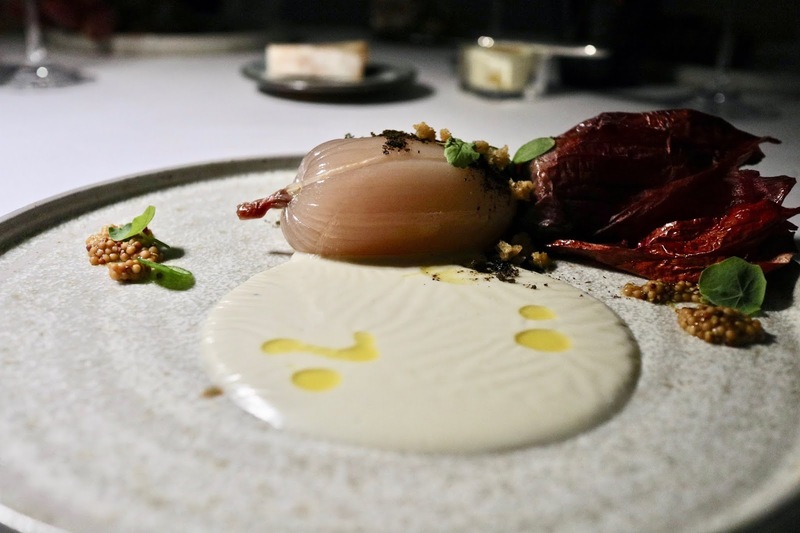 I, on the other hand, am a big fan of fresh herbs turned into sweet degustation so the pine needle sorbet with pomegranate and sorrel, and apple pie with thyme ice cream desserts sat well with my palette. For the food nerds, sorrel is a garden herb that looks similar to spinach. It provides a hint of citrus/lemon taste to dishes. 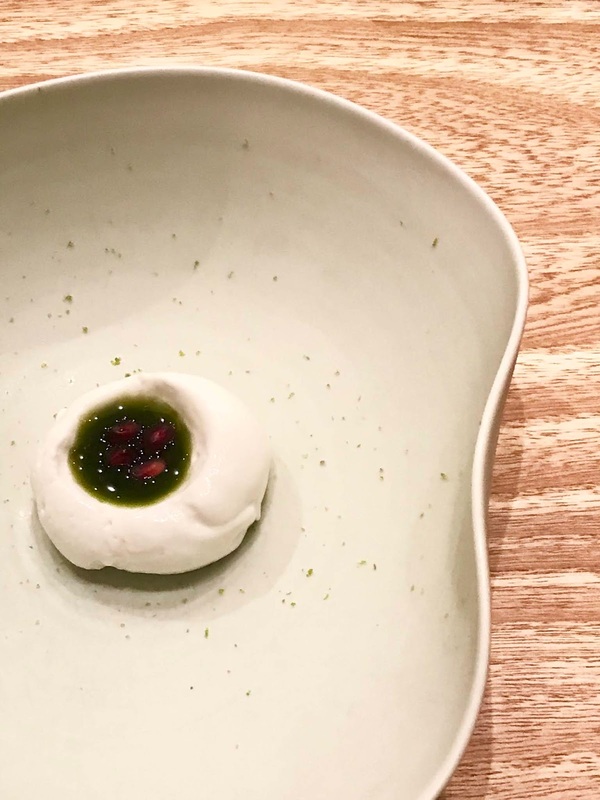 The refreshing pine needle sorbet with pomegranate and sorrel. After all that is said and done, their major misstep of serving a non-red meat eater bacon despite being forewarned and corrected at the start of the meal is a testament to lack of staff communication and training, which alludes me to not recommending Birdsong for experiential dining for its price point ($185 for prix-fix dinner as of January 2019). I'm sorry that apologies just don't cut it at this point. Given that my favorite dish is the bbq carrots though, I challenge them to an all-vegetarian menu, and, of course, do more training. Maybe then, Birdsong will sing the right tune. The Caribbean island of St. Martin is a paradox - one side is Dutch while the other is French. 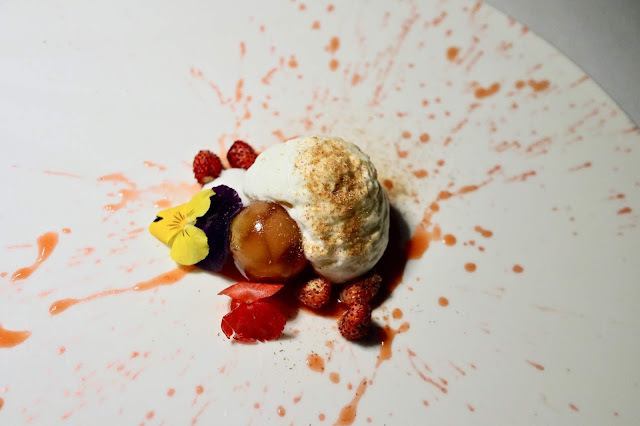 If you're looking for a gastronomic experience, the French side, which can be reached by by rental car or taxi, has a lot to offer. 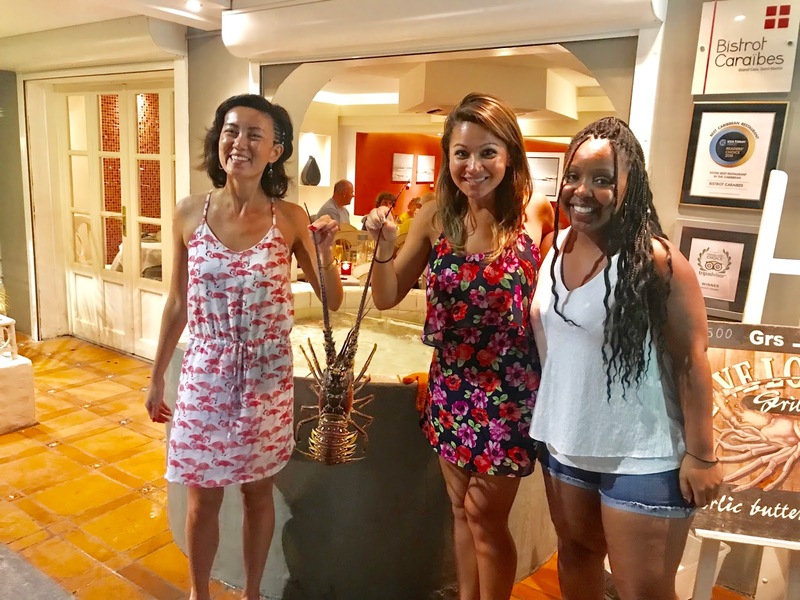 While road tripping to the French side of Grand Case, my travel buddies and I dropped by Bistrot Caraibes to understand what an authentic French Caribbean meal is all about. We were soaking up the fresh island night breeze and scouring the small boutique stores before heading to the bistro, which is located a block away from the beach. Indeed, we were not disappointed. Our meal consisted of everything that is sinfully, yet elegantly French - from escargot, foie gras to live lobster. Must not miss the thermidor lobster at Bistrot Caraibes. Even before we found parking a few blocks from the restaurant, we already knew in our hearts and minds that we all wanted lobsters. And lobster we did have since a few of them were swimming in a small pond in front of the establishment! We even got to take a photo of our lobster alive and kicking before it was presented as our thermidor lobster entree, which is Caribbean style stuffed lobster in creamy white sauce topped with parmesan cheese, after our appetizers. 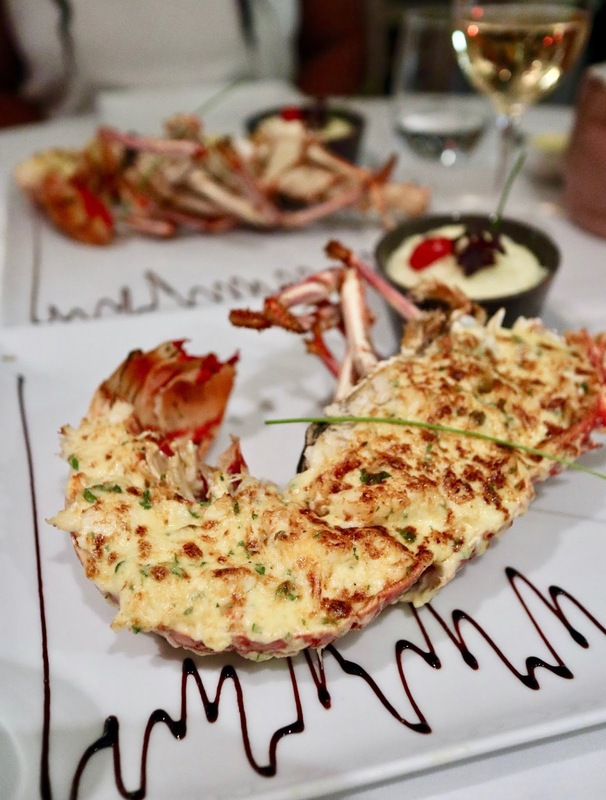 I've savored different island style lobsters from grilled to buttered, but the thermidor is definitely a must try while in the Caribbean and, specifically, at Bistrot Caraibes as it is their house specialty. Thanks to my travel buddies for joining me in this dining experience! 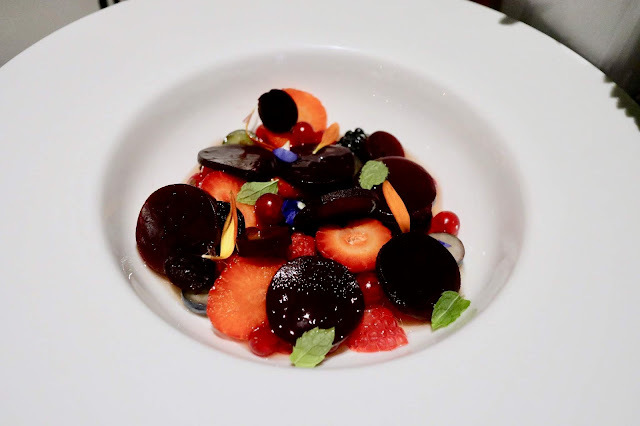 We opened our palettes with a glass of bellini and then paired the rest of the meal with French red, white and rose wine, namely the Le Haut Medoc de Giscours, Chateau de la Saule, and Gris Blanc Rose 2016. What more can a girl ask for? 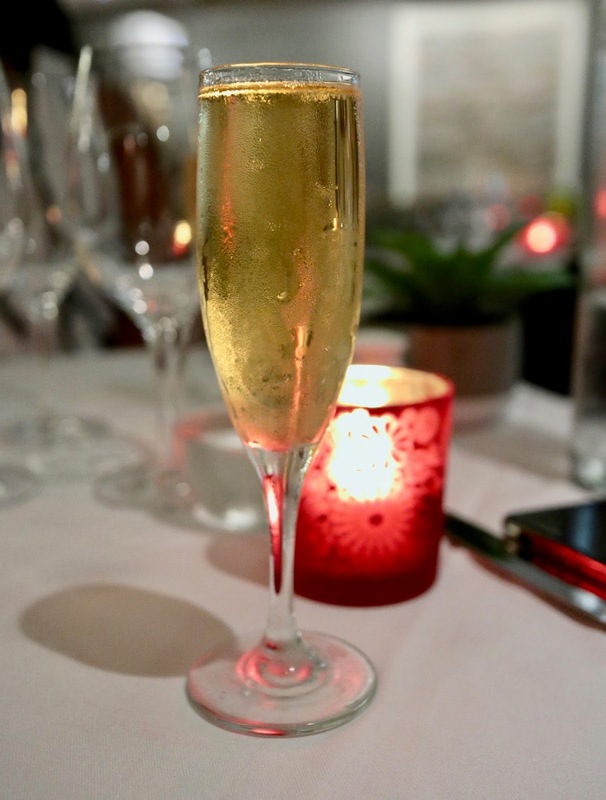 Cheers, welcome to Bistrot Caraibes. Thou shall not leave a French restaurant without devouring on escargots. This was our special appetizer request of the night, imagining that it would be served with the traditional escargot plate. Alas though, the escargot came in a bowl with creamy mushroom sauce that overpowered the snails. 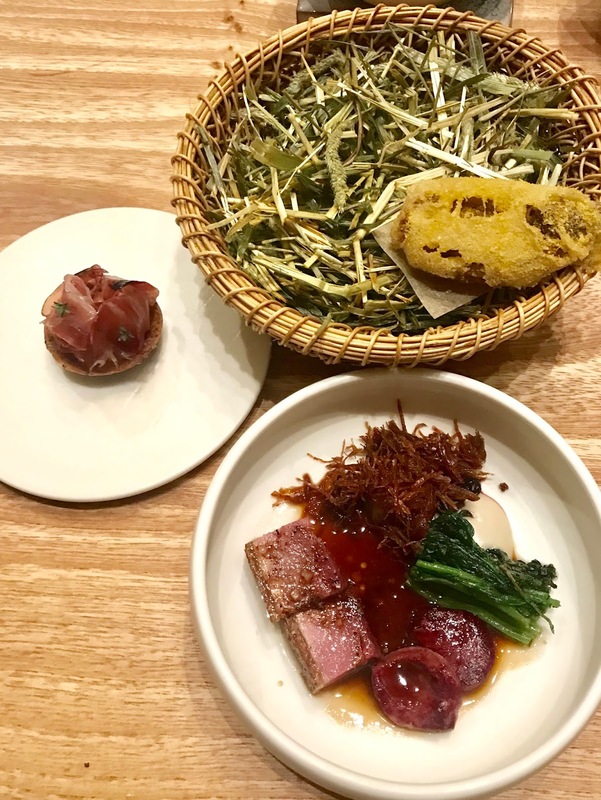 Unexpectedly, the mussels in red tomato sauce and perfectly seared sesame crusted tuna tataki on a bed of seaweed salad, which were both the owner Thibault's recommendations, made up for what was missing in the escargot dish - light yet savory, well balanced flavors. Tuna tataki for the win! 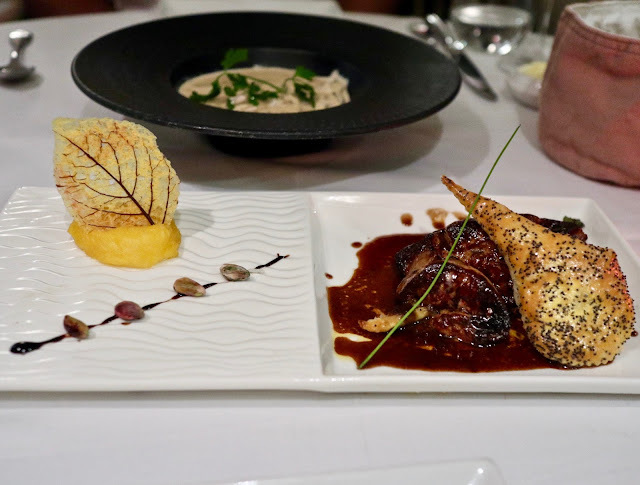 Just when I thought the appetizer round was over, a dish with glistening foie gras in all its glory appeared together with a slice of phyllo dough for added texture. The sweet and sour mango sauce complemented the bold taste of the foie gras. At this point after four appetizers (not all are shown on photos), we were already teeming with too much excitement for the thermidor lobster to arrive that it was gone in no time. Melt in your mouth foie gras. Escargot in the background. 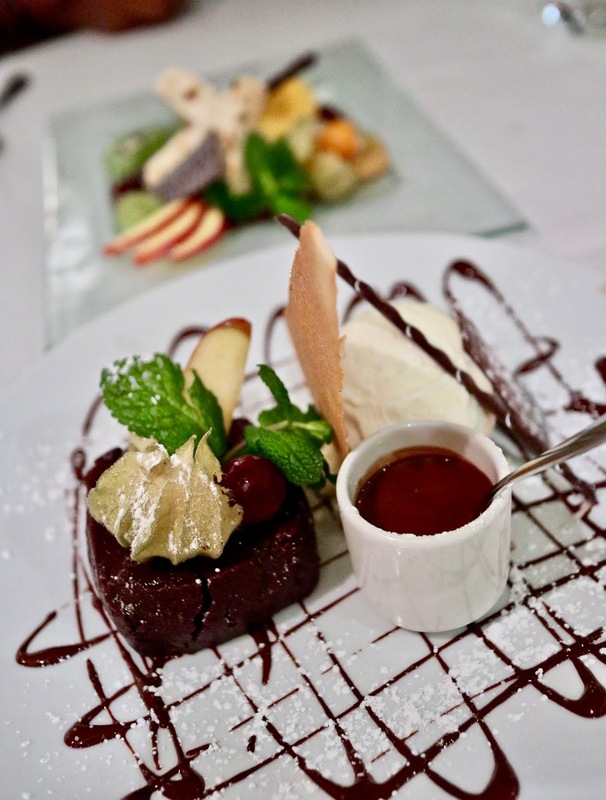 Thanks to the recommendation of Thibault, we ended our Bistrot Caraibes experience on a high note with their dessert special, the hot chocolate cake with vanilla ice cream and chocolate sauce. Nothing can really go wrong with chocolate and vanilla together. 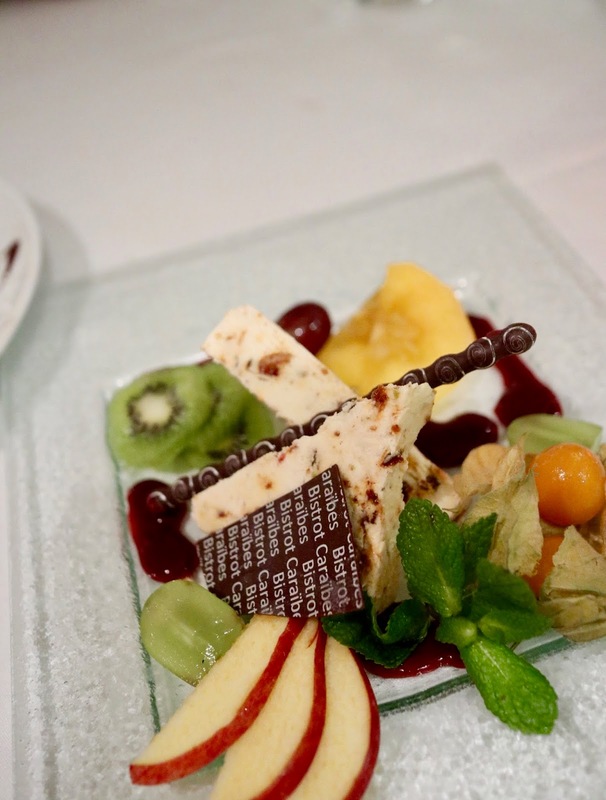 I also took advantage of the fresh fruits that surrounded the homemade nougat ice cream since it is hard to find fresh fruits or even fresh juices in the island. Dessert house specialty: the hot chocolate cake with vanilla ice cream. Special thanks to Thibault and all his staff who were gracious with our requests. See you in my next island gastronomic (mis)adventures! If someone is going to say that I'll be dining at an establishment that had some legendary friars, I would have really scratched my head and wonder what the experience would be all about. Unsure of what to expect after a short uphill climb to La Leggenda dei Frati, Italian for Legend of the Friars, I came out more knowledgeable about the story and cuisine at this Michelin-recommended restaurant in Florence - and was able to pronounce the name of the restaurant properly, thereafter. 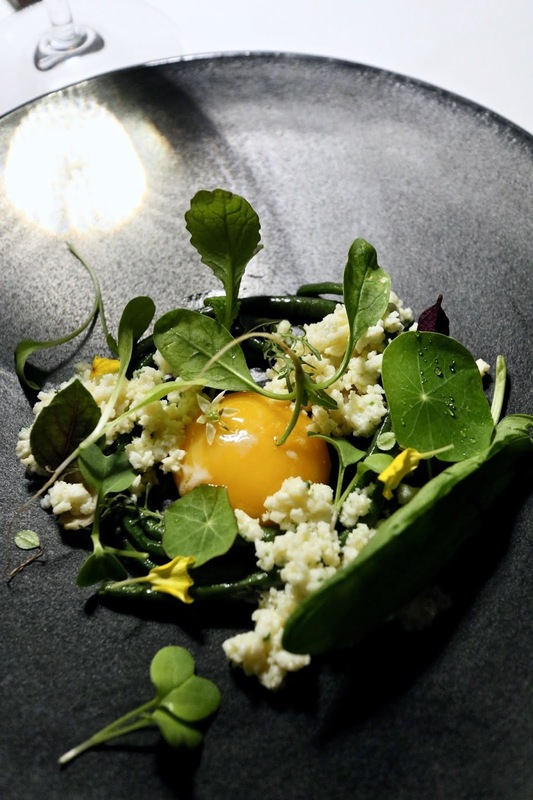 A simple yet delectable egg dish surrounded with vegetables from the garden. 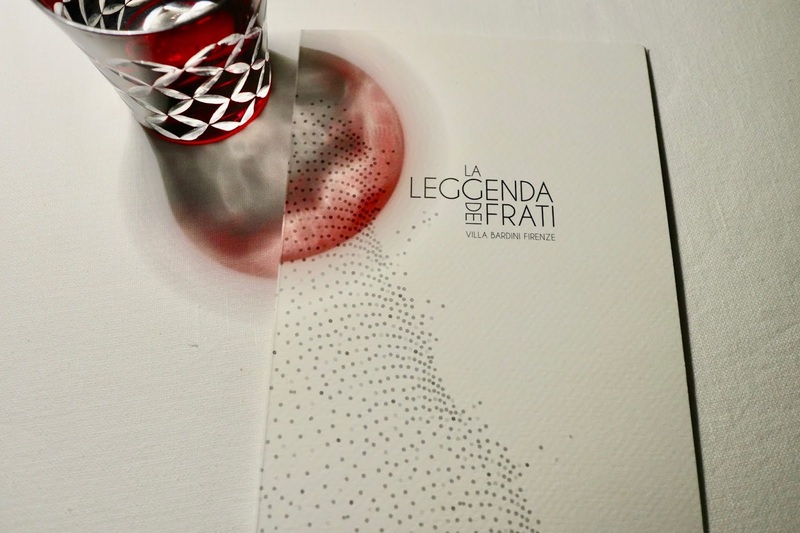 A surprise dinner at La Leggenda dei Frati. Legend has it that three friars collected the best sprouts from their garden and fruits of their vines and prepared a lunch made with the best treasures of their land. They ate and drank so much that they began to sing and dance non-stop until late into the night. Just imagine how fun that would be. Located in Villa Bardini, a 17th century villa with an expansive view of the city, today the "new" Legend of the Friars is serving 75% of its meals with an authentic farm-to-table experience coming from the botanical garden behind the building. 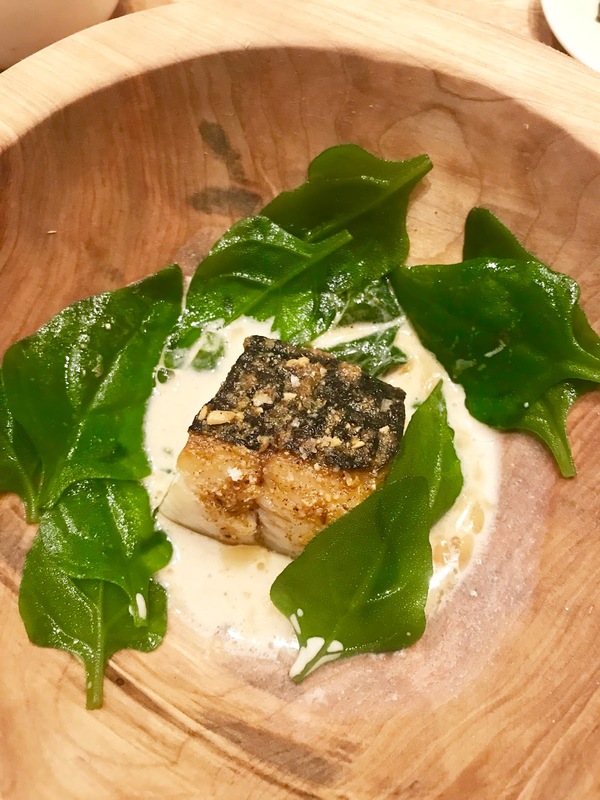 Executive chef Erez Ohayon from Tel Aviv explains proudly how they grow their ingredients, particularly coriander, peppercorn, and basil, hinting on what was awaiting for us in the dining table later that night. 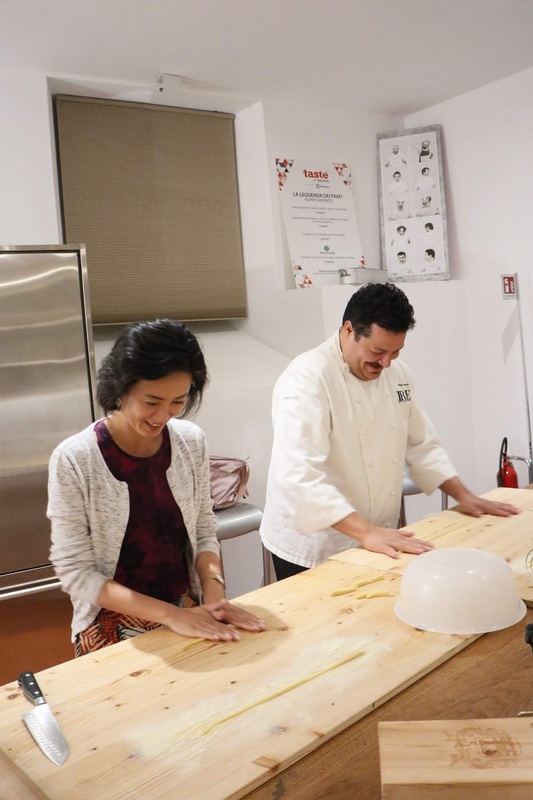 I never knew that the pasta used for the famous caccio e pepe is actually called pici until our mini-pasta making session with Chef Filippo Saporito at their cooking school also located inside the Villa Bardini. Pici, a fatter version of a spaghetti, is molded by rolling our palms back and forth - the same motion as a rolling pin. 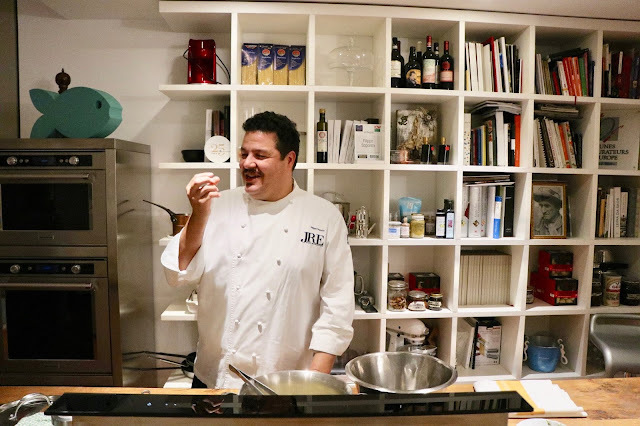 Not only was it a great learning experience, but also Chef Filippo shared why he ended up moving to Florence and opening a restaurant in a historic building. Chuckling as I follow my instructor because I was doing it wrong! Chef Filippo's boisterous laughter demonstrates his love for his restaurant and his craft. The surprise vegetarian menu for the night certainly didn't disappoint. It was fun seeing those peppercorns, basil and other ingredients from the garden appearing on our plates for that evening. 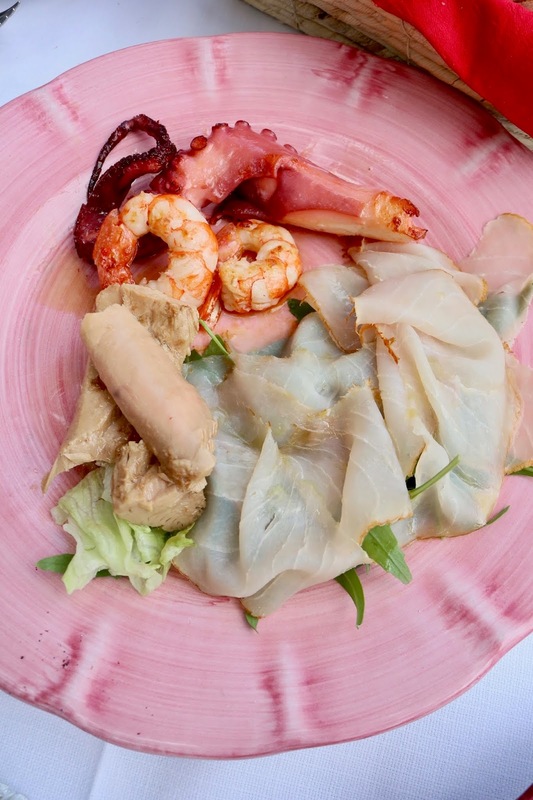 As expected, each dish is prepared with detail and care and paired perfectly with Italian wines, namely the Anno Domini 1126 Cinciano Bianco 2017 and the Castello di Fosini Pinot Nero 2017. Starting off with a glass of prosecco, an Italian tradition, and sumptuous crackers. 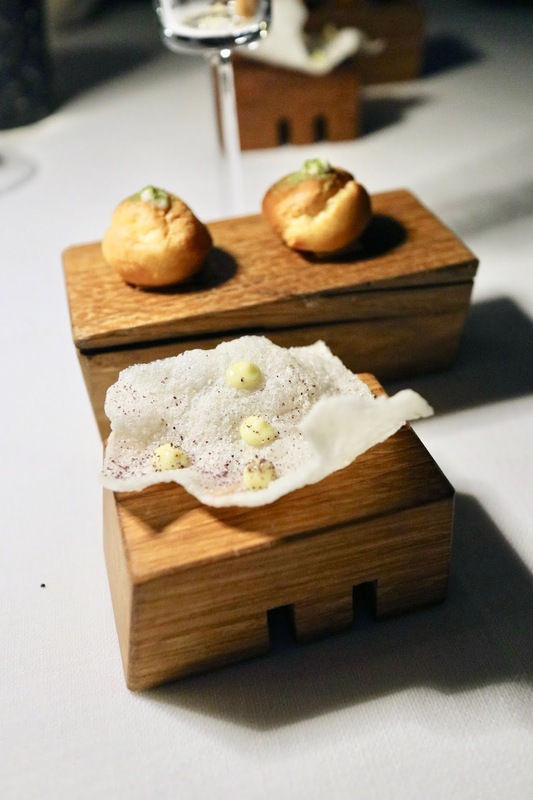 Appetizers starting off with the flavorful wasabi puff and seaweed cracker. 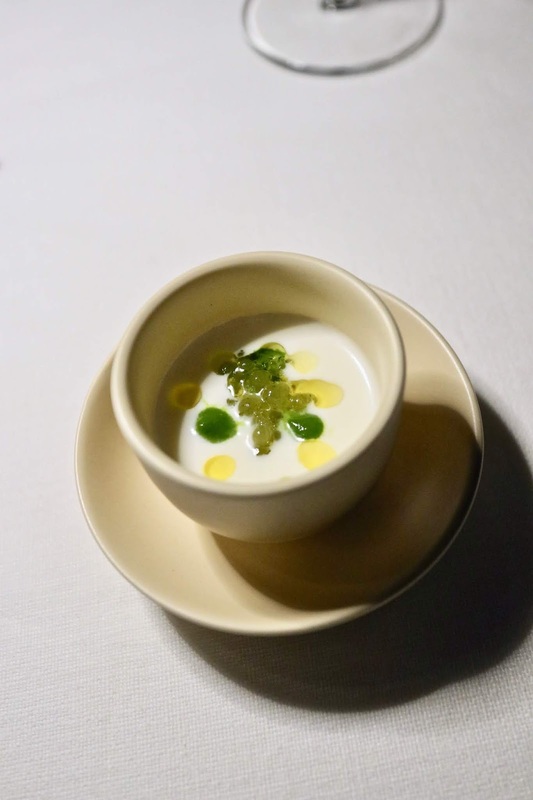 Kefir yogurt cucumber caviar. Love the pop of the cucumber caviar. 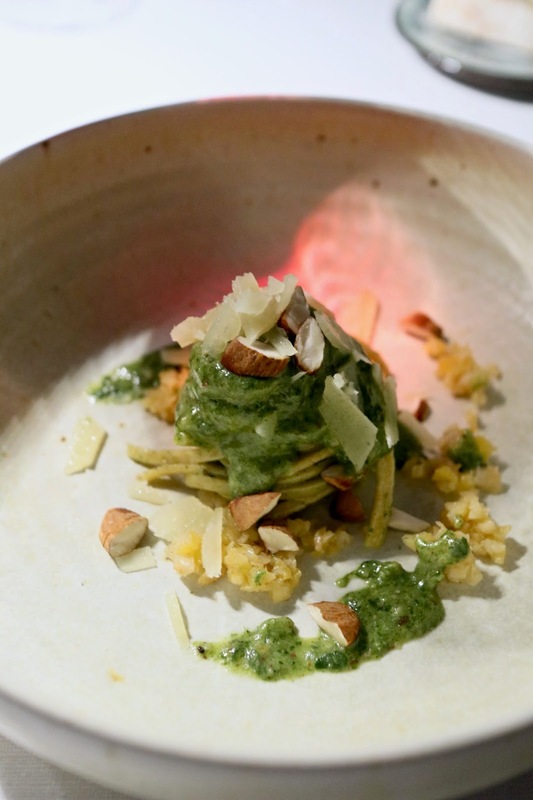 Fresh pasta with shaved parmesan and almond crumble providing a mixed, crunchy texture. Roasted onions with cheese and mustard seeds. Reminiscent of Israeli cuisine roasted cauliflower. Rosso - an amalgamation of rhubarb, strawberries, kefir and coconut. 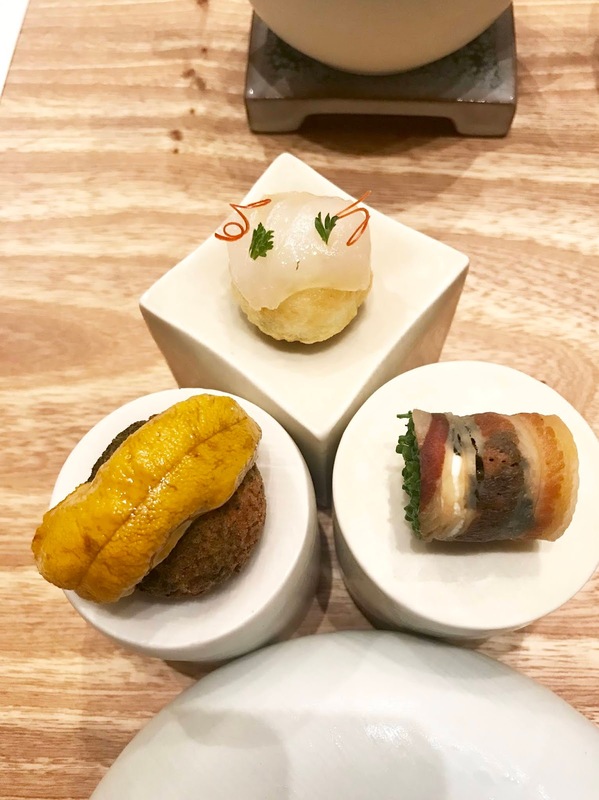 Can't complain with these petit fours. We also got a take home box (not in photos) filled with jellies. After our 2 hour or so adventure in the dining room, we ventured to the rooftop of the villa to soak in the night views of the Arno River, ending the day with a high note. 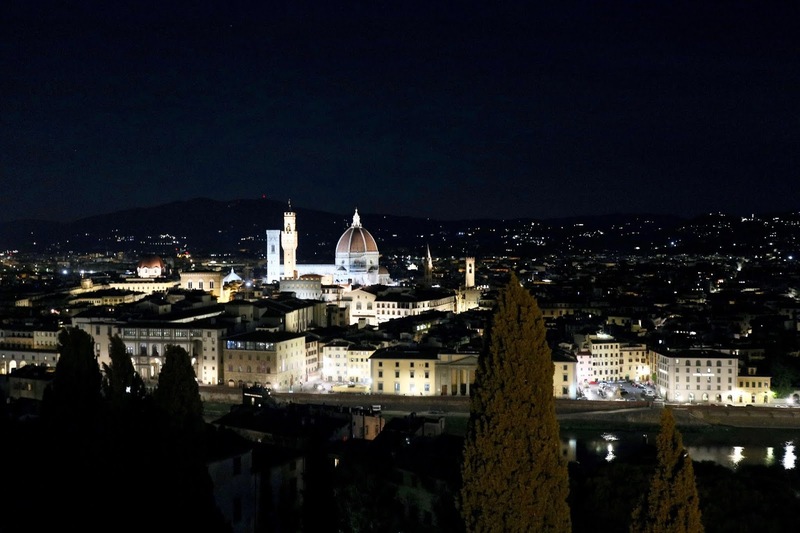 Night view at Villa Bardini. Disclaimer: I received a complimentary dining experience in exchange for an honest review. When life gives you lemons, make more than just lemonades. 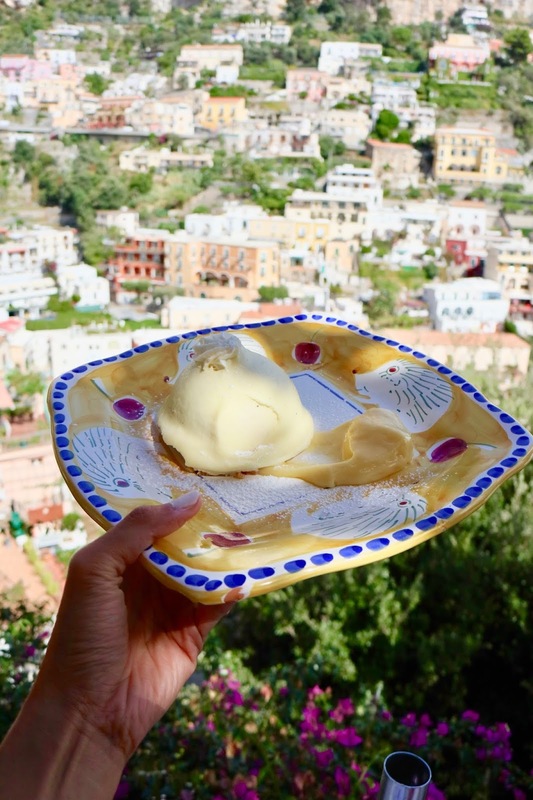 In fact, you should just go above and beyond, literally, to find the spots away from the madness of the tourist town of Positano and venture to where you can have some quiet time, beautiful views, and best of all, the lemon delight, the national dessert of the Amalfi Coast. My eating buddies were surprised that this tasted as delightful as it sounds. Il Tridente, the hotel restaurant of the Hotel Poseidon, is no stranger to Instagrammer-wannabes not only because of its idyllic views of the island but also the green vines that seep through their outdoor terrace providing that much needed shade in the middle of the summer heat. 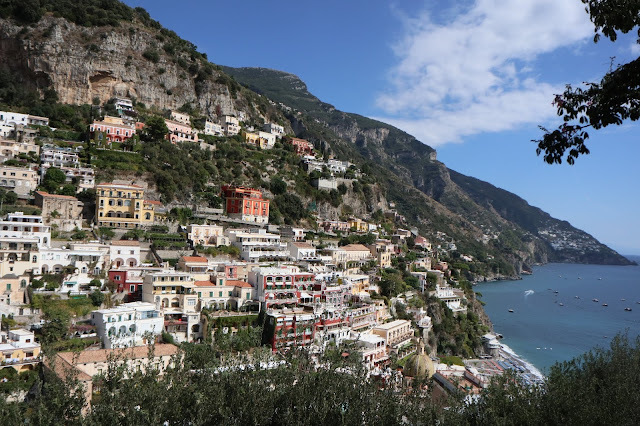 We soaked in the panoramic views while lunching on fresh seafood and pasta. 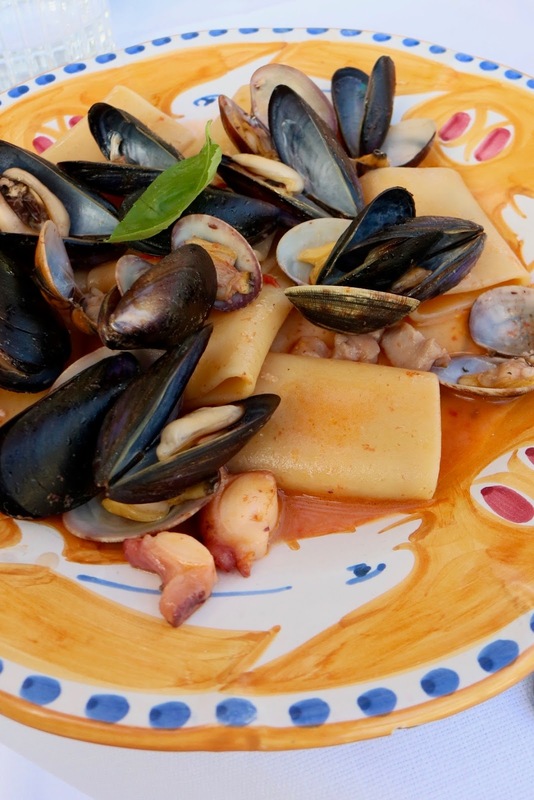 Typical dishes of the Amalfi are anything that is made up of lemons and the scialatielli ai frutti di mare, seafood made with fresh pasta. Don't fret though, there are many opportunities to burn off those calories when discovering various villages in the Amalfi Coast. 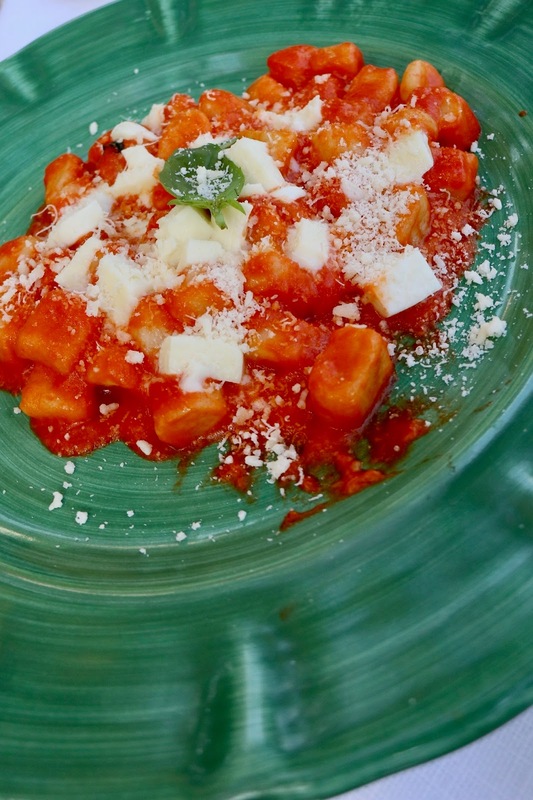 So go ahead, savor what this Italian coast has to offer! Seafood platter to prep us for our pasta entrees. Seafood pasta, scialatielli ai frutti di mare. Disclaimer: I received a discounted dining experience at Il Tridente in exchange for an honest review. Having been touted as the next superfood, moringa has increasingly been getting in US households in a form of a snack bar, beverage or powder with consumers hoping to gain the nutrients from the moringa tree (or moringa oleifera) also known as the “miracle tree” in an easy, consumable way. A leafy green more nutritious than kale, moringa provides powerful anti-inflammatory benefits comparable to turmeric. Similar to other crops that thrive in humid climates, moringa is an easy crop to grow but difficult to process correctly. As a low-acid plant, moringa doesn't fight off bacteria on its own. Selling dried moringa leaves requires a thorough process to kill off any bacteria and preserve the nutrients. Kuli Kuli, the first consumer packaged goods company to bring moringa-based snacks in the US and currently one of the largest moringa companies in the world, has worked closely with all of their moringa suppliers from 13 countries across Africa, South America and Southeast Asia to ensure that they are only selling the highest quality moringa powder, testing all products three times before launching in the US market. Kuli Kuli’s CEO, Lisa Curtis, first came across moringa in Niger as a Peace Corp volunteer and has been trying to source from Niger ever since. Sourcing internationally does come with its set of challenges, especially quality and transportation. In 2014 for instance, Kuli Kuli tested two samples of moringa from Niger and found it to have bacterial contamination. After speaking with the moringa women's group, Kuli Kuli discovered that the farmers were processing it outside of the farm because they didn't have a processing center and had no resources to build one. During that time, Kuli Kuli also didn’t have any way to finance it. Since Niger is a landlocked country, the other challenge has been transportation. To solve these challenges, Kuli Kuli plans to utilize the grant they recently received from the Millennium Corporation Challenge, a US foreign aid agency, to bring more high quality Nigerien moringa to the US. As part this grant, the Government of Niger will be significantly improving the roads for easier access to a port when shipping moringa to the US. Kuli Kuli's business is on-track to more than double this year. They hope to continue to partner with financing organizations like the US State Department in order to unlock the US moringa market for small, high-impact moringa farmers and build a supply chain from the ground up. Through this partnership, Kuli Kuli is now able to build a model moringa processing operation in Niger that can also serve as an example to many of the other moringa farmers around the world. 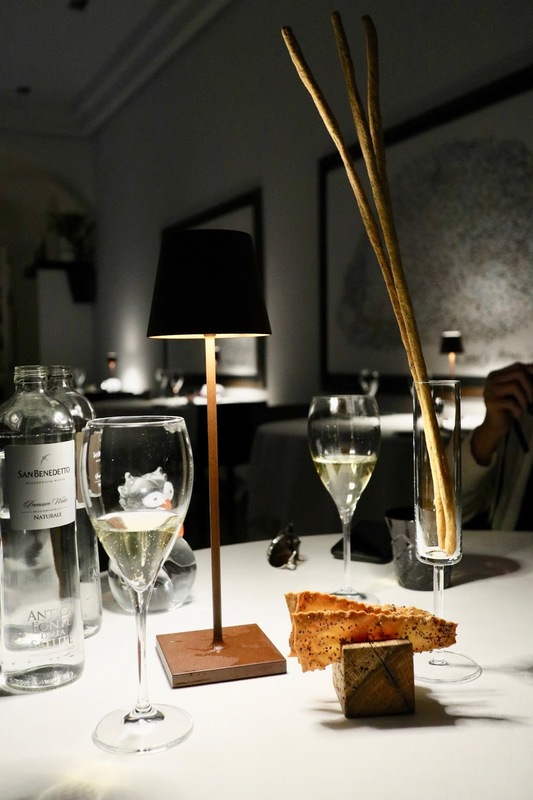 Surprising moments are not far and few in between at Caffé dell'Oro, a Michelin recommended restaurant overlooking the Ponte Vecchio in Florence. Being a hotel restaurant from the Ferragamo family's Lungarno Collection, it is no wonder that a little bit of oomph is ever-present in every dish. 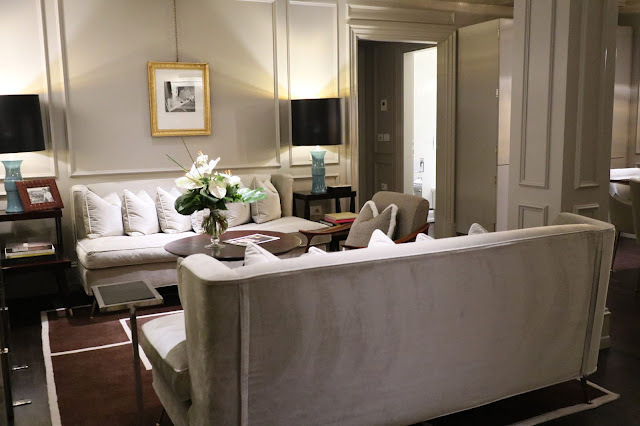 The button-down, elegant service takes you to a different world away from the hustle and bustle of tourist laden central Florence. 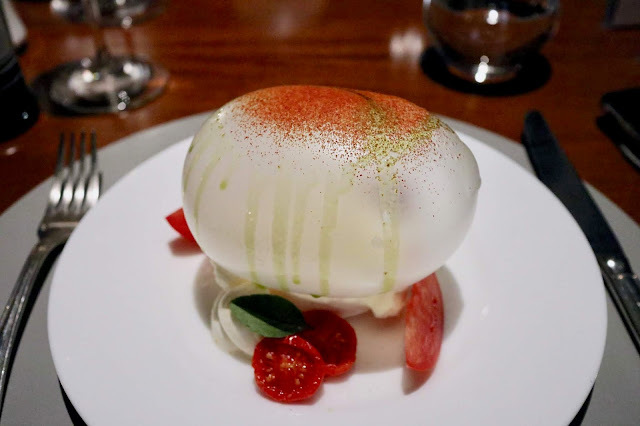 Opening up our appetite was a sparkling glass of prosecco that was followed by the most unique cheese caprese and fiod di latte - fresh cheese made out of Italian mozzarella- stracciatella in a bubble as big as my palm! It didn't burst with a firecracker sound as I expected, but it is definitely something to write home about. Who could forget a dish (below) that was obviously prepared with care and that definitely woke up my weary, hungry soul the entire night. Italian cheese in the most enviable presentation. 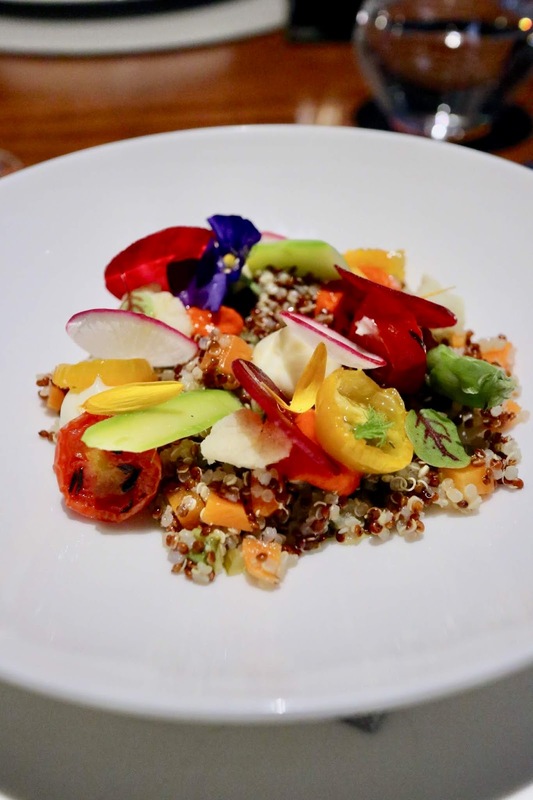 The multi-colored Oro quinoa salad and the citrus cuttlefish and asparagus salad are the must-try's for those who want a lighter dish besides from the regular pasta and pizza that proliferate the city. I believe these appetizers are also quintessential Italian bistro food- healthy and very tasty. However, I felt that the quantity of the appetizers per dish is better meant to be shared with a loved one. 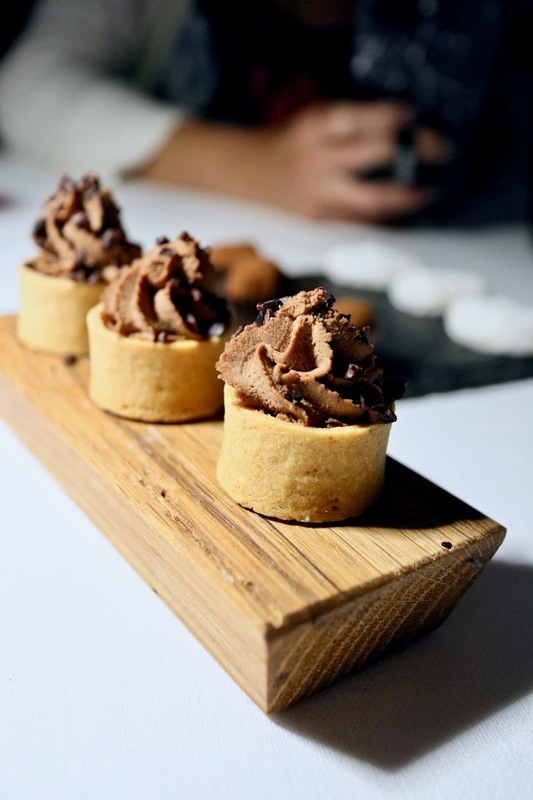 I was able to do this with my eating buddy, who happens to be a patisserie chef, so sharing some food notes with her made this food writing excursion a breeze. 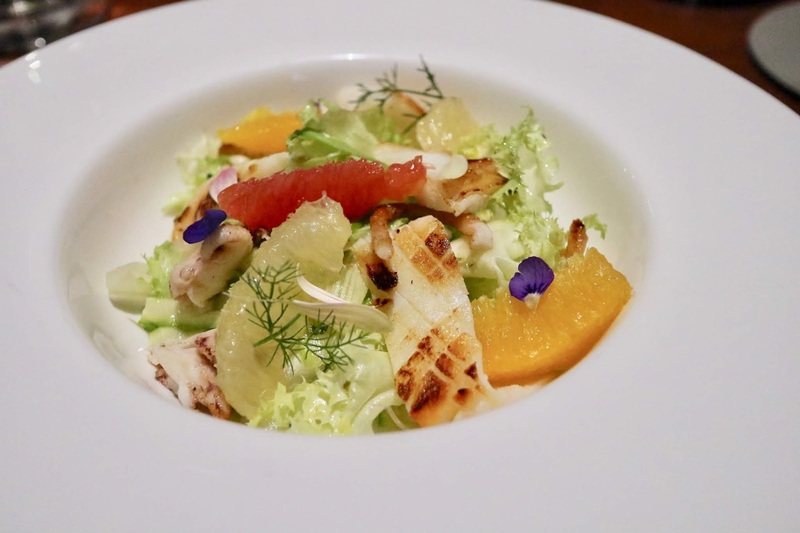 Light and refreshing - cuttlefish with fennel and citrus fruits. 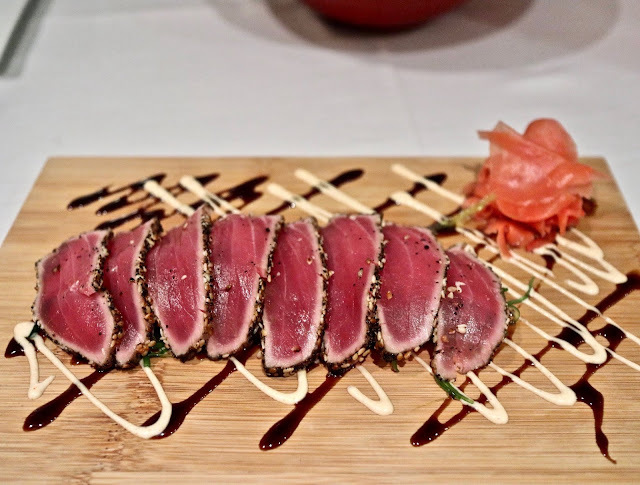 We paired our main and second entrees, boasting Tuscan and Mediterranean cuisines, with a glass of crisp, white Sauvignon Winkl Italian wine. 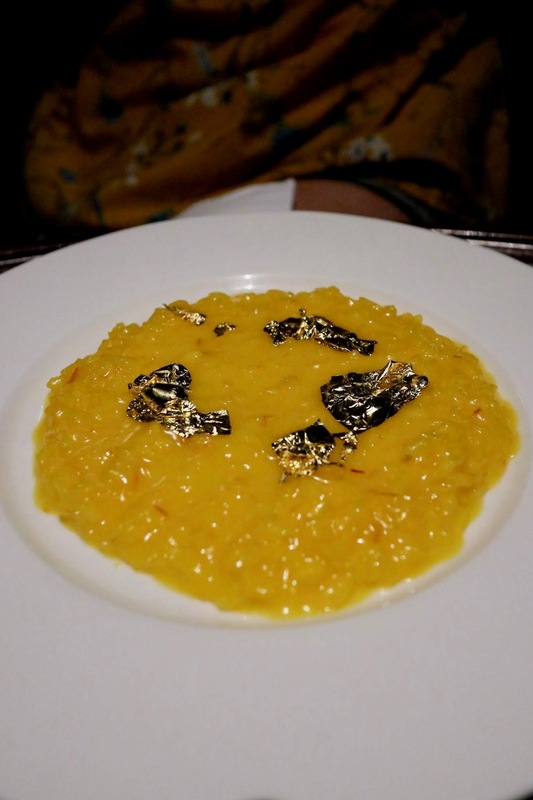 The two entrees worth noting are the saffron risotto topped with edible gold - why not since this is all about Italian flair after all! 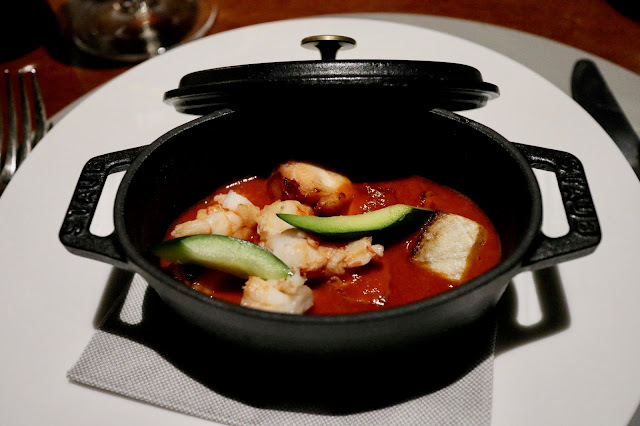 - and the seafood tomato casserole, a more sophisticated version of a fish soup. I was forewarned that because Florence is not a coastal town, fresh seafood is not a specialty, but the casserole, which came in piping hot in a mini cast iron pot, didn't disappoint. Rice with saffron and pure gold. 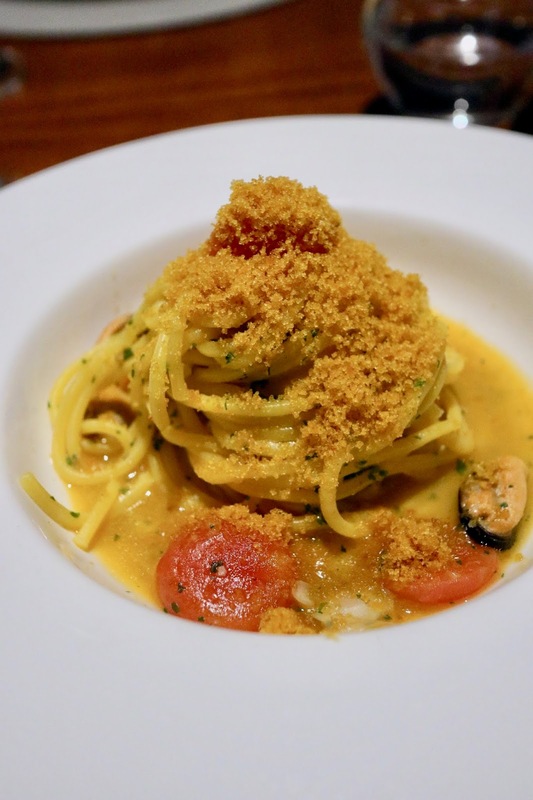 Spaghetti with mussels, clams, cherry tomatoes and mullet roe. 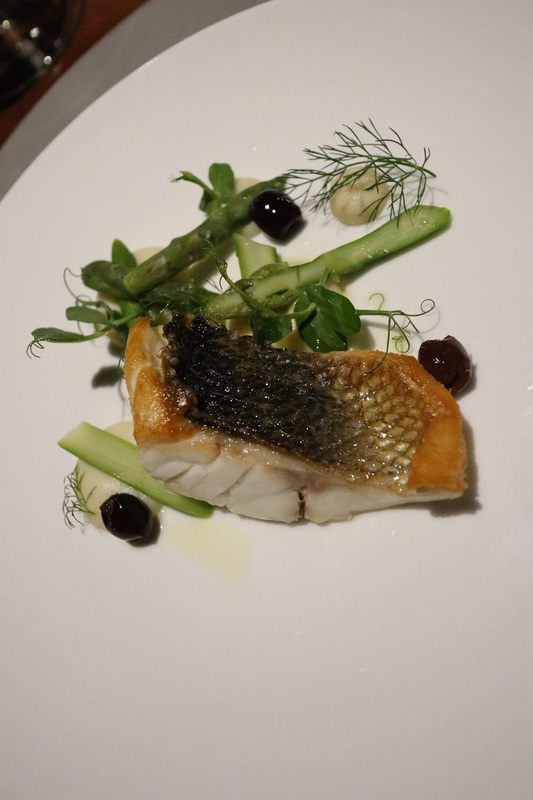 Seabass with taggiasche olives and green asparagus. Casserole: Octopus, shrimps, tomato, turnip and zucchini. The dessert menu has something for everyone. Deciding whether we wanted to try a classic Italian, gelato or lighter dessert was a difficult feat, so we ended up ordering three. Another revelation is their Bottura version of the tiramisu. 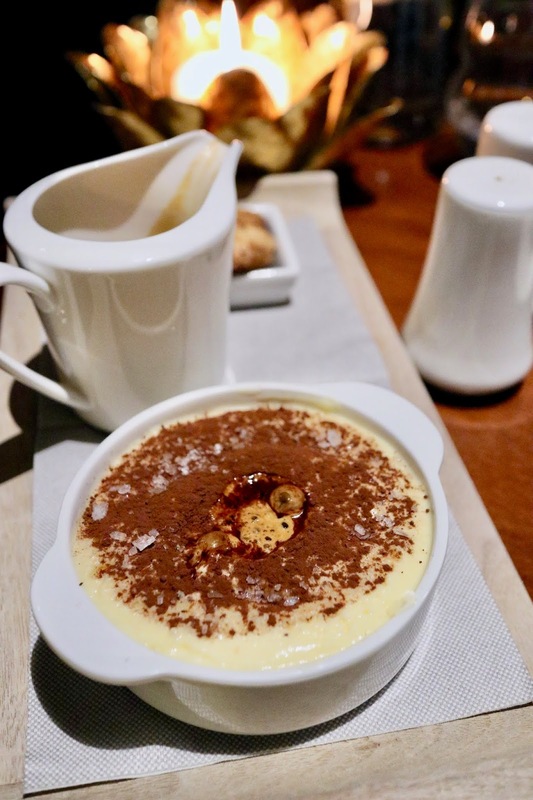 Aptly named after Chef Massimo Bottura who garnered the award for top restaurant of the world for Osteria Francescana in Modena, the Bottura tiramisu is topped with fleur de sel. Freshly brewed coffee is later poured in the mid-section, giving it a sweet and salty flavor. This definitely does not warrant another cup of espresso. 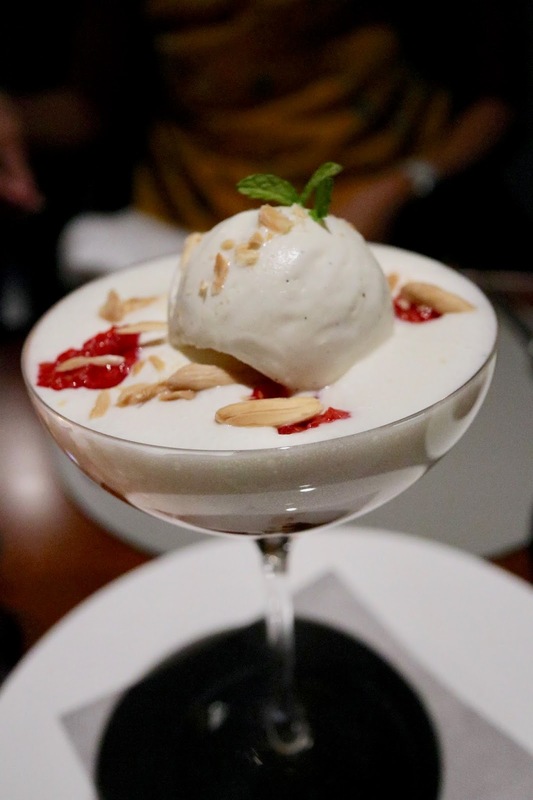 A dreamy peach melba with gelato satisfied my gelato-every-meal goal in Italy, while the healthier bowl of red berries made my guilt of indulging disappear. Can you spot the fleur de sel? Peach melba with fresh peaches. Red berry salad with rosehip infusion. Our Italian flair experience did not end at Caffe dell'Oro thanks to the adjacent Portrait Firenze hotel staff. 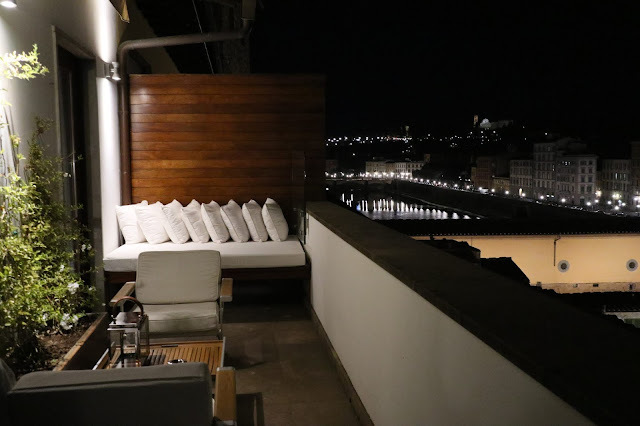 We were able to view the penthouse suite, overlooking the Arno River adorned by night lights. 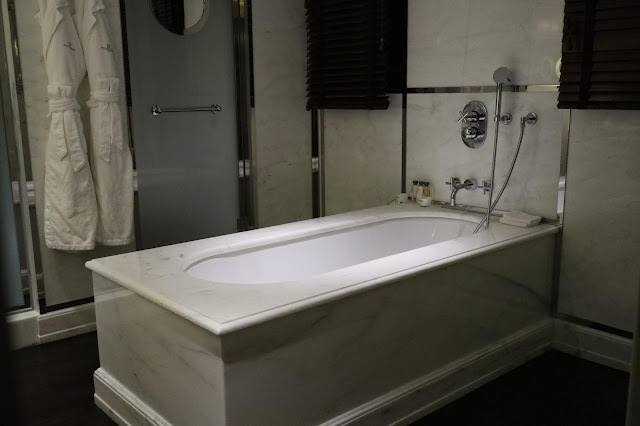 The two-bedroom suite that can house about six adults has some antiques and trinkets from the historical Ferragamo family, and best of all, it has a bathtub as a centerpiece. 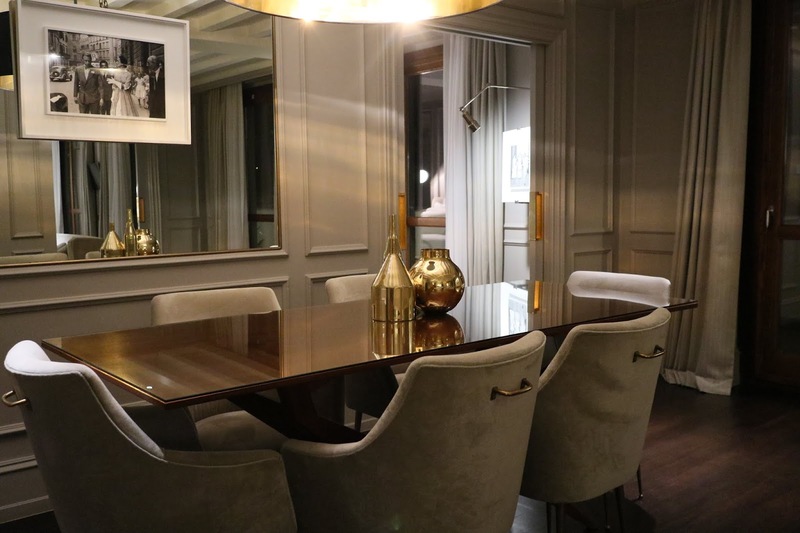 Unsurprisingly, Portrait Firenze was awarded as Forbes Travel Guide's One of the Finest 5-Star Properties in the World 2017. I do hope that one of these days, I too would be able to experience first-hand the Lungarno Collection hospitality. More penthouse pics for your eyes to indulge in. Til we meet again! 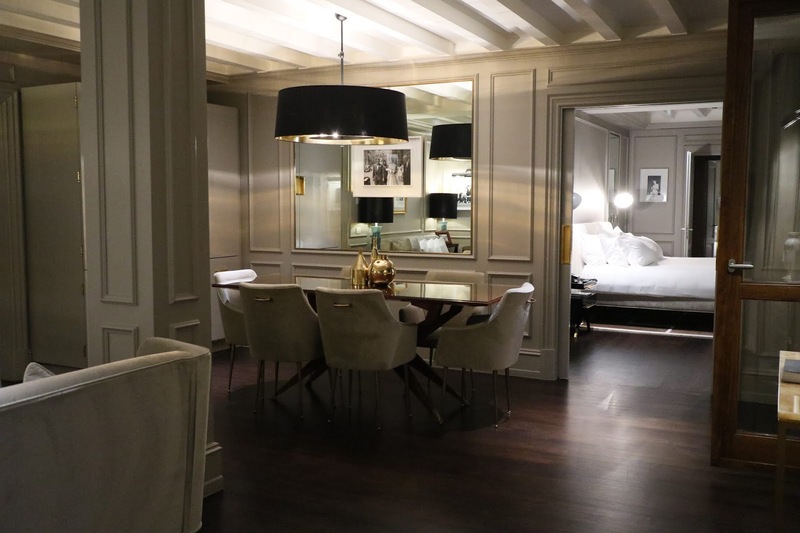 Penthouse suite at Portrait Firenze. Sophistication is the theme of this hotel. Bathtub #2. The bathtub centerpiece! I LOVE! Many thanks to Ling for showing us the penthouse. Disclaimer: I received a complimentary dining experience at Caffe dell'Oro in exchange for this honest, fun write-up.